For a day or two there, we were certain that it was finally Spring in Chicago. And along with warmer temps and patio szn, comes the promise of a new crop of incredible albums and EPs from some of the city’s heaviest hitters and most exciting new names. Well, it may not be spring (yet) - but that won’t stop these spring albums from coming out. There’s something here on our round-up for everyone - and we’ve collected everything we know from Tweets and in-person interviews… Whether its just speculation and crossed-fingers (Valee), or a release date as imminent as this week (Pixel Grip!) we’ve got our ear to the ground for ya, at least until these projects are in our headphones. With just a couple of immaculately-produced officially-released synth pop singles to their credit on Bandcamp and Spotify, it may seem as if Pixel Grip has come out of nowhere. But the reality is, the trio has been playing shows around the city and honing their sound, live act, and album for over two years. The sum total of all that honing will be shared with the public soon, as local label Feeltrip Records will be pressing up the vinyl for their debut album, Heavy Handed - which you’ll no doubt be able to purchase at the newly opened No Requests record store (and Feeltrip HQ) in Irving Park. Catch the album live the very next day at Sleeping Village for the band’s release show, April 13th. Announced just a week or so ago with a trailer and a Reddit AMA, Intellexual is a new project from Social Experiment members Nico Segal & Nate Fox - who say they were inspired to start this work during the creation of Surf ’s “Pass The Vibes” in 2015. In addition to Surf, the two have contributed to Coloring Book and records for a whole host of big names nationally including DRAM and Neil Young. The trailer’s credits for the project feature many big names as well - including Ric Wilson, Knox Fortune, Francis (presumably of Francis and the Lights), Liam Kazar, Jean Deaux, and more. Releases So Far: "Jason Statham Pt. 2", "Studio Ground Rules" & "Bad Boys"
On the heels of Saba’s star turn year in 2018, the boys of Pivot have been releasing a steady-stream of incredible singles - and riding a wave of well-deserved buzz into the recently-announce release date for the Mean Girls-checking (of course) You Can’t Sit With Us. Bars, unlikely references, stellar production, and a whole lotta heart and fun. What else would you expect from Pivot Gang? Smartbar resident - and one of the city’s biggest emerging talents on the club scene - Ariel Zetina has teamed up with the independent label Majia for the release of her second project. Quoting Resident Advisor (themselves quoting a Majia press release) the EP is “influenced as much by acid house and techno as it is by the Caribbean party rhythms of her family's ancestral home, Belize.” The project figures to be a great introduction to Ariel’s work as a producer to new listeners, and to illustrate why Mixmag named her one of the 25 artists to watch for 2019. 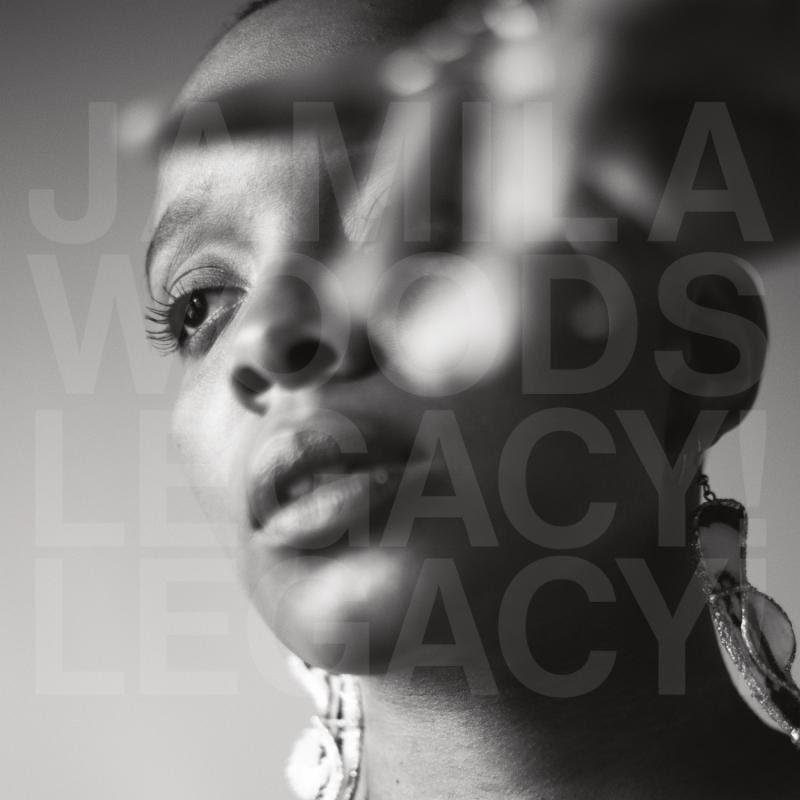 Jamila Woods - Legacy! Legacy! Releases So Far: "Giovanni", "Zora" & "Eartha"
Announced officially back in February, the follow-up to poet and singer Jamila Woods’ 2016’s stellar debut album HEAVN, is arriving via Jagjagwar on May 10th. Each of the album’s tracks bears the name of a globally impactful black artist, and already released are the Nikki Giovanni-inspired GIOVANNI, Zora Neale Hurston name-checking ZORA, and EARTHA - a monument to the incomparable Eartha Kitt. The liner notes, though, feature another kind of all-star cast - with heavyhitters in the Chicago community Peter CottonTale, Oddcouple, Nico Segal, Saba, The MIND, and many more among the contributors. In March, local synth pop act The Roalde Dahls took to Twitter to announce the May release of their debut album, a 9-track album carrying the same irreverent, author-checking name of the group itself. Days later, they dropped off a first single, the strong and shiny Palls March, backed by a DDesigns and Diana Pietrzyk co-directed music video that recently made it’s way from release party to the internet. We can’t wait to see what these guys can do over a full-length runtime. Slow Pulp built a lot of buzz last year despite notching just two official single releases in the calendar year following 2017’s EP2. And during our interview with them for the These Days Artists to Watch 2019 feature, they told us that they were putting the finishing touches on what figures to be their next EP. We’re waiting with bated breath for an official announcement, as this group are well and truly ones to watch in indie - both locally and nationally. An expectant release based on little more than Tweet conjecture, these former These Days feature stars have preferred to release their music in a slow trickle - dropping quality singles and EPs whenever it suits them. We’re hoping and guessing it will suit them soon, as it appears the next project is done, and release is imminent. Make sure to drop by their Pretty Love Resort & Spa event this weekend at FDC Studios for a hint at what it might sound like, and maybe a free massage. Over the weekend, we ran into O’My’s lead singer Maceo Haymes ahead of his Bricktown Sound DJ set at Hungry Brain, and he let us know we could expect a new EP from the band this spring. It’s exciting news - this powerhouse duo seem to be smack in the middle of inspiration mode. We don’t know much about the new release, other than that Pivot mainstay FRSH Waters will be involved in some capacity, and that it’s coming soon. Music fans around Chicago can be more than pleased about this. The soft-spoken ‘Tomorrow’ stuck with us long after first listens, and showed a new side to The O’My’s. ‘Tomorrow’ was a project of and about growth, and we expect this mentality to repeat itself in this new mysterious project. Call it “4,” call it “Owbum” - whatever you call it, this figures to be the biggest Chicago release of the year without breaking a sweat when it arrives in July. A fact sure to be cemented by a closely corresponding event - his own music festival (a repeat of 2016’s Magical Coloring Day, perhaps?) held somewhere in the city, sometime this summer. There are only a couple teasers to go off of right now, but do you really need anything more to be excited about this one? Releases So Far: "Coca Cola" & "Foam"
In late March, the emergent psych-rockers of Divino Niño announced a full-length album set for release by Winspear. If it’s as good as their recent run of singles, including the freshly-released crooner Coca Cola, or half as vibey as the incredible album art (by the band’s own Camilo Medino) it figures to be an absolutely essential listen and a gift for the dog days of summer. As a producer, Elias Abid had a hand in two of our favorite EPs of 2018, Appleby's Happiness and Rachel Faith's Codependency, but it was ultimately his versatility as a multi-instrumentalist and vocalist that landed him a spot in our 2019 Artist to Watch list. Readying a debut project with confirmed contributions from Faith, Jameson Brenner, and Andrew Christopoulos, Abid has now decided to take a step forward as a solo artist. A Chicago resident via Kansas City and Paris, Abid's music reflects a unique global background and a mix of R&B, indie and pop genres that positions his forthcoming project as must listen when it drops. There’ve been whispers of a full-length from these two brewing, but the closest thing in the way of tangible evidence of that fact is this recent Lyrical Lemonade post for the track “High Vibrations” - a release that finds both artist and producer in their best form yet. Can’t wait to hear more from the two together. For an artist as active as These Days favorite Victor! usually is, quieter times typically mean something exciting is coming. Thus far this year, the 18-year-old singer, songwriter & producer, hasn’t shared all too details about what he’s got planned as 2019 marches on, but what we do know: the year’s lone release so far, “+”, is fantastic, and it’s said to be a part of a forthcoming EP titled ‘Placeres’ which will arrive this year. While we wait, join us in checking out pedicure boys - a Spotify playlist Victor! put together for his fans. Last year, not long after inking a deal with G.O.O.D. Music, Valee conquered the summer charts with Jeremih, and released an introductory EP for new listeners appropriately titled G.O.O.D. Job, You Found Me. Though the Kanye-founded and Pusha-helmed label doesn’t exactly have a reputation for hurrying out releases from new signees, longtime fans will be hoping they won’t wait much longer for his full-length debut. That album - and a corresponding breakallthewayout year for Valee - appear imminent. Unreleased Trax on Wax, from the Past! Montana Macks Breaks Down Ingredients to "Original Recipe"
Songs That Changed My Life: Holly, Picks! What video games are Mystery School playing in their secret lair?